If you’re planning a visit to Hawaii and have a LEGO® lover in your group (a grown-up OR a child—no judgement here! ), you don’t have to pack bags and bags of blocks in your suitcase. Instead, check out these four ways to indulge your LEGO® obsession, even while on vacation! The Lego Store-Ala Moana Center: Perhaps the most obvious (and well-marketed) option is to head to the LEGO® store at Ala Moana Center on Oahu. There, you’ll find a Build-a-Mini tower where you can mix and match from a wide selection of bottoms, tops, heads, hair pieces and accessories to customize your own Minifigures. You’ll also find play-stations, where you can play with LEGOs® at-will. You can follow the instructions or build by your own rules, and you’ll find new creative building scenarios each month. If you’re in the market to buy a LEGO® set, you can use the “Digital Box” to see what your LEGO® creation will look like. With the digital box, you can scan almost any boxed LEGO® set and see the model come to life in 3D. Finally, try the “Pick-a-Brick Wall” to choose the bricks and elements you want in all different shapes and colors. Each store has something different, and the bricks change all the time. 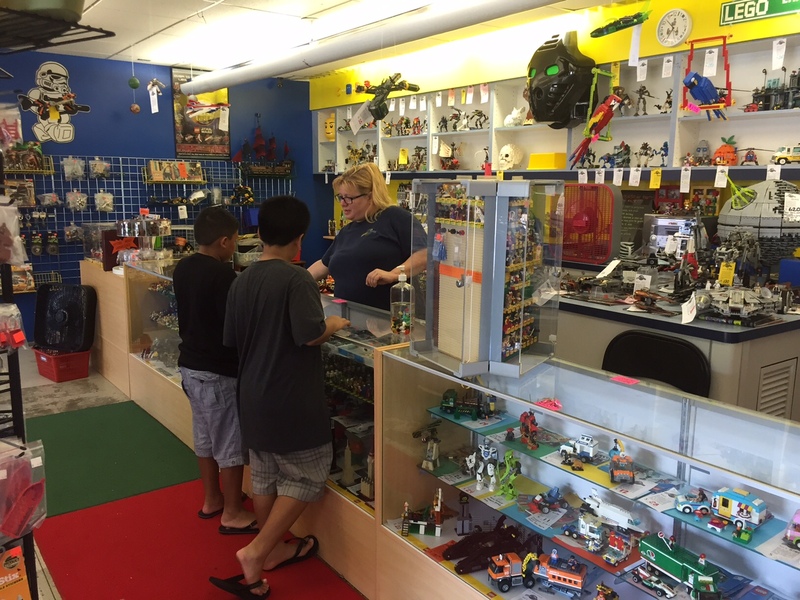 Bricks and Minifigs in Kailua is a great LEGO® store alternative on the Windward side of Oahu. Bricks and Minifigs-Kailua: If you’re staying on the Windward side of Oahu, you have a LEGO® store right in the neighborhood! It’s called Bricks and Minifigs, and it’s a one-stop LEGO® shop that features new and used LEGOs® for buying or trading. At the store, you’ll find MILLIONS of bricks and Minifigures, box sets, and already-constructed builds on display and for sale. You can also spend the day playing in their tubs of LEGO® pieces and create one-of-a-kind structures just for fun—or to purchase. On a rainy day on the Windward side, you won’t find a better place to play if you’re a LEGO® lover! 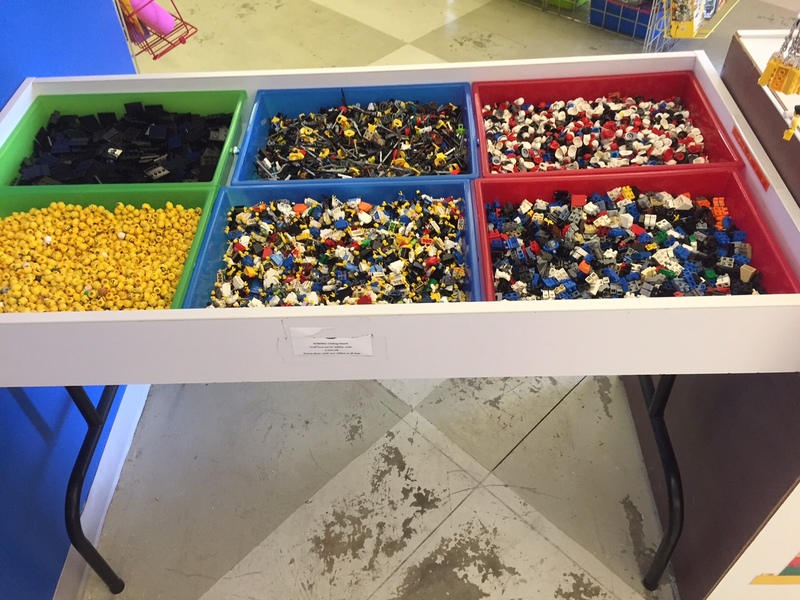 At Bricks and Minifigs in Kailua, LEGO® enthusiasts can put together their own minifigures. HILUG (Hawaii LEGO® Users Group): If you’d like to get-together with other LEGO® enthusiasts, check-out HILUG, the Hawaii LEGO® Users Group. They’re a group of LEGO® builders, collectors and fans dedicated to spreading the joy of plastic brick building in Hawaii and elsewhere. From novice to expert, the club is made up of a diverse group of people that come together to create and attend events to share our love of LEGO® with each other and the public. The group accepts members from 1st grade through senior citizens.On the group’s website, you can find out which LEGO® events are coming up, and you may just find an event happening during your stay on Oahu. LEAHI (LEGO® Enthusiasts Association of Hawaii): If you’re 13 years old or older, you can join LEAHI, the LEGO® Enthusiasts Association of Hawaii which started in 2003. For $20 per year, teens and adults who love LEGOs® can participate in group events, display their creations to the public, and attend get-togethers with the group to share your love of LEGOs®. If you’re here for an extended vacation, you may want to join the group, especially if a LEGO® event is happening during your stay! For LEGO® lovers, even a short vacation without any brick-building can be too long. So, indulge your inner LEGO® enthusiast, and take advantage of these LEGO® resources while you’re here!